This cranberry sauce is named for my 95 year-old grandmother Mabel, who gave the recipe to me and whom I seem to recall originally got the recipe from her cousin Mildred. Although Mabel and Mildred were probably preparing this before canned sauces were even conceived, I'm impressed by how well it has stood the test of time. In fact, if you hadn't eaten raw cranberry sauce before, you might think it a modern, fresher alternative to the somewhat stodgy cooked stuff. It offers a pleasingly tart, crunchy contrast to typically rich Thanksgiving side dishes. Roughly chop cranberries in food processor. Place in mixing bowl. Add celery, walnuts, sugar, salt and ginger, if using. Finely zest whole orange into mixture in bowl, avoiding white pith. 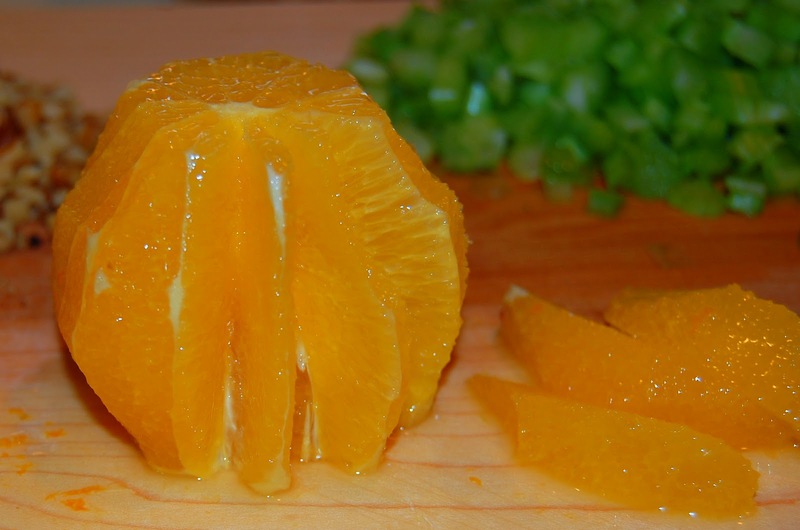 Pare pith away from flesh of orange with sharp knife and discard. 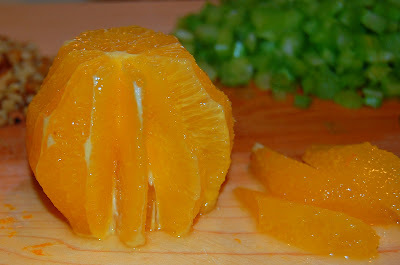 Holding orange in hand, cut segments out between membrane as pictured below. Roughly chop segments and add to bowl. Squeeze juice from remaining orange membrane into mixture. Give sauce a stir occasionally, and taste before serving. If it still tastes too tart, add more sugar to taste. Notes: Obviously, my grandmother didn't own a food processor; she actually ran the cranberries through a manually-cranked meat grinder. Also, the optional fresh ginger is my addition, but I like this sauce equally well without it. Finally, the original recipe did not contain salt, but I find it really brings out all the flavors. This is a great recipe to play around with. Fresh pears or pineapple are tasty embellishments. Hi Teener, This is so timely and I have just made this, so it is chilling. You will be with us tomorrow in recipe if not in person. We'll be at my mother's new place. Things are all different but it seems like it will be fun. 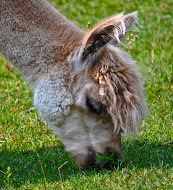 Can hardly wait for your next offering to us readers. hi again Teens. Re our conversation on Thanksgiving about this yummy relish... I checked back on my old recipe from my Aunt Jay and I decided to make another batch yesterday, adding your celery and the nuts. I also decided to use 2 whole clementines instead of the one peeled orangel. I quartered them and put them through my old fashioned meat grinder - twice. Since they are so little and thin skinned, they worked, skin and all! It is really good, and the bits of peel are not pithy at all. so that is what I have noted to myself for next year. When your app not working or stops working then don’t worry about it you come to the correct place. When you are using any app then there are some issues always come it's really true. You can use the Showbox app on any stand like android, iPhone, window, ios, Mac, Pc. The recent update of show box showing some problems.